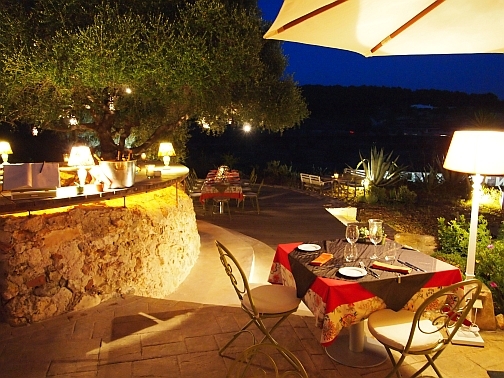 Can Domingo is one of Ibiza’s best kept secret restaurants going from strength to strength since its launch in May 2012. This oasis of tranquillity in this beautifully restored finca in San Jose is one of Ibiza’s new food destinations. Italian restaurateurs, charming Andrea Sanarica and Alessandro Barni Spadacini from Bergamo and Milan, with roots in Southern Italy as well as family in Ibiza, serve divine dishes brought by well renowned chef Giuseppe Vivacqua. 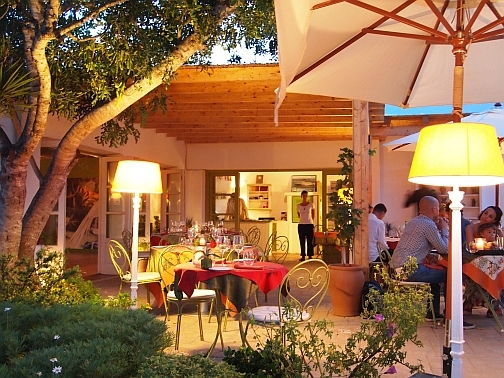 Can Domingo’s tranquil garden gardens with views across the countryside right to the sea makes this one of the islands most romantic country spots serving delicious Italian dishes. Have a drink at the bar under the carob tree before dining in the courtyard or in the candle lit garden by the olive trees under the stars.